CTDP is in its 7th year, naturally, during this time, there have been some projects, we have never talked about. Projects we never announced and often died in an early stage of development. 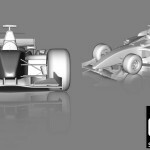 Although CTDP is best-known for their F1-mods, we often planed to release some not-F1-related mods. Today we want to show you some of the projects that never were and never will be. I invite you to tour through our archives. The first project I found, I didn’t even remember myself. We go back to the end of the year 2004. 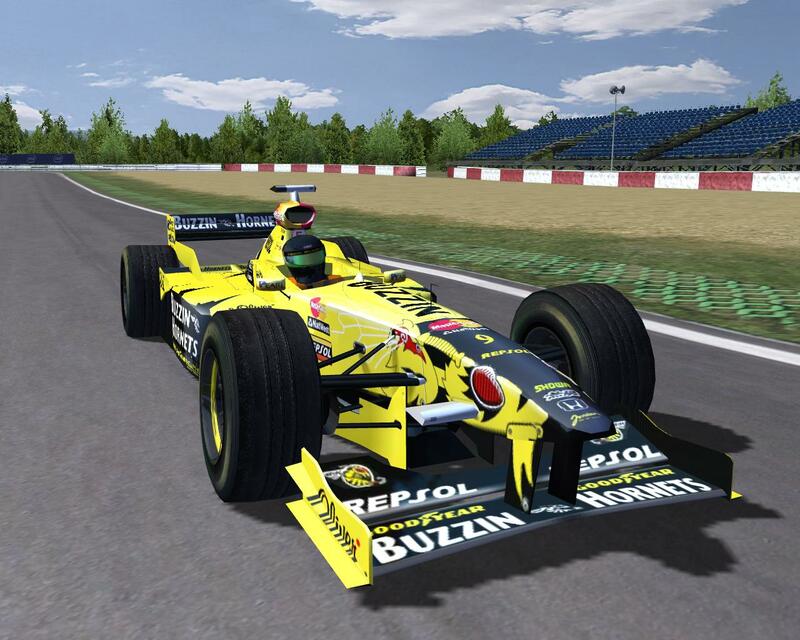 The 2004 mod for F1C was nearly released, F1 1998 was also nearly done. 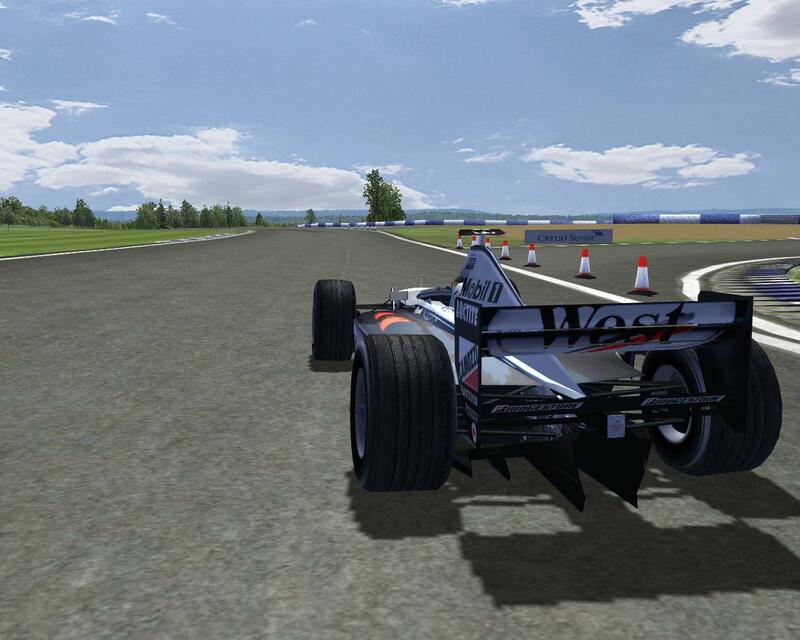 So with the current mods nearly finished and 2005 not yet quite on the horizon, we had plans to create a F1-1996 mod. Wai Keen Lam actually created a Ferrari F310. Unfortunately the model has been lost till today. Backups are only good if you actually find the data backuped. However, the project didn’t come to fruition, as work on the 2004-expansion pack proofed more time consuming and the developers rather began to work on season 2005 as soon as possible. Today only the empty mod-description at Blackhole Motorsports (kinda ironic name) and some forum posts at RSC remind of this relict. 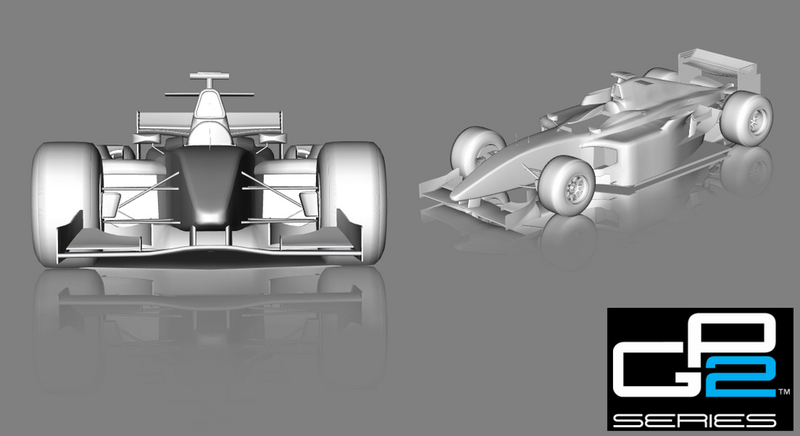 Next step is the November 2005, about a month before the 2005-mod for F1C was released and one month after the initial release of rFactor. We were already experimenting with rF and thinking out loud about converting our mods. 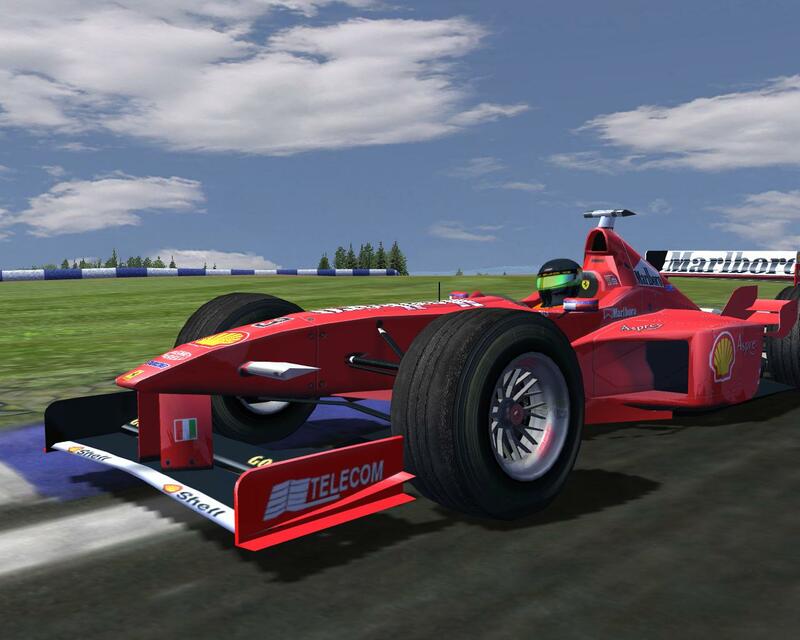 Yet in the first days of rFactor the tracks didn’t allow alot Formula-Racing. 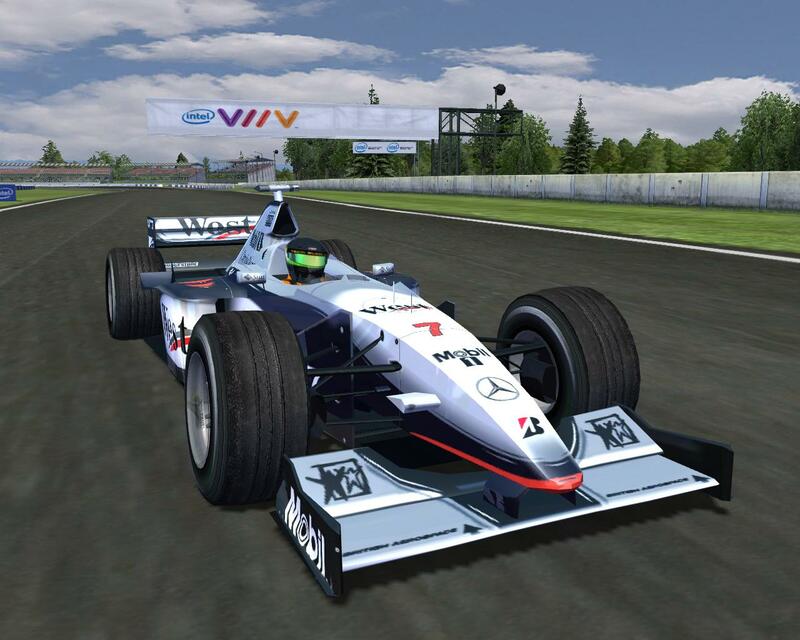 The cars were to fast and therefore not much fun to drive on rFactor’s small tracks. So we thought, hey wouldn’t it be cool to make a tin-top-mod with our most favourite German cars. Like giving the chance to drive and paint on your own car in the game. The idea lived for a month, but never got off. 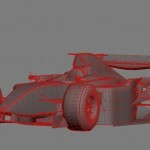 No work has ever been done on it and we much rather converted the 2005 mod for rFactor. By the way, the decision to convert it wasn’t a simple, but in retrospect, the right one. 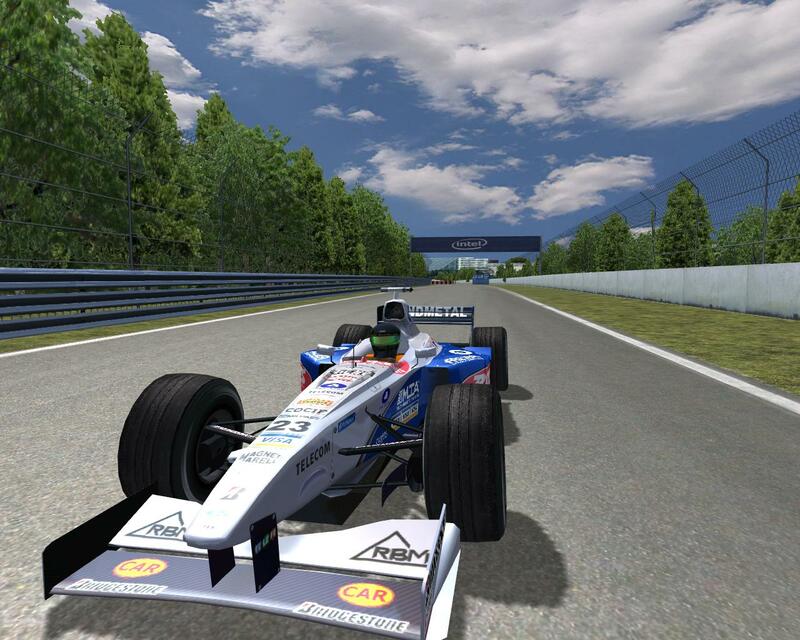 Later in 2006, when the 2005 mod for rFactor was in progress, Alless began a conversion of the 1998 mod to rFactor. He converted just the Ferrari and it looked very good and promising. So we contacted all the authors back from 2004 and asked them for their sources of 1998. Here the problems started. KJ had only half the sources left and they were made in Adobe Fireworks. We tried to convert them to the usual PSD-Format, but this messed up all layer structure and we ended up with 60 unnamed and unsorted layers. I did some work on Williams 1998, but going through the mess was neither fun, nor very successful. Then there was the second problem: The texture size was too low. 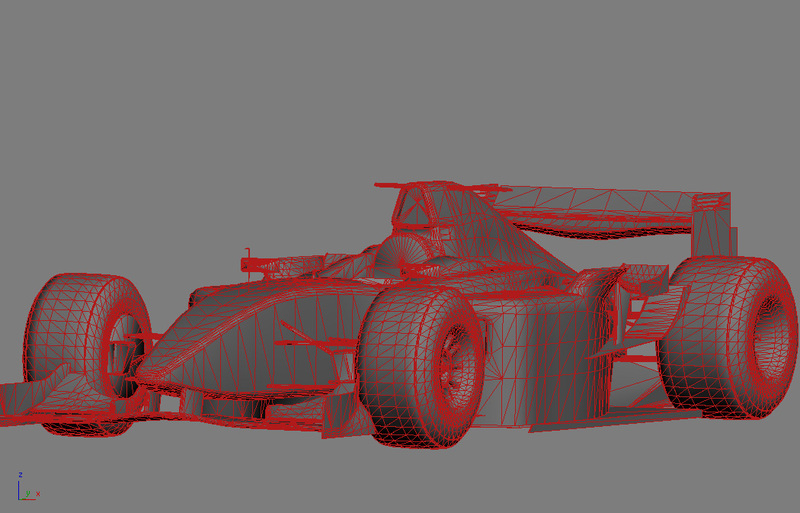 In 2004 one 1024×1024 texture for a car was enough (not top notch, but ok), in 2005 we used already 4x the size, today we use 16x the resolution. So it was clear the mod couldn’t meet our quality standards and combined with the problems with the sources, we came to the decision to pull the plug. This mod had several consequences for our future work: We make textures in twice the size we actually release (ok 2006 is actually in native resolution with 2048×2048), we collect all sources, make more backups. Please note, this was our own personal attempt at a conversion and is not related to any other conversion. Turb, who got the sources we had will do a much better job! The idea came actually from Oms in the same thread we were discussing the German cars mod. 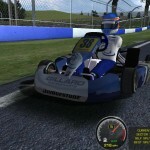 At the beginning of 2006, there was only the Superkart-mod, no “regular” one, so Oms did some work on a Kart-Model and he surprised us a few months later with some screenshots. I don’t actually know what the reasons where, that this mod disappeared from sight. Oms spent less time modding and so he concentrated on the 2005 mod as well. 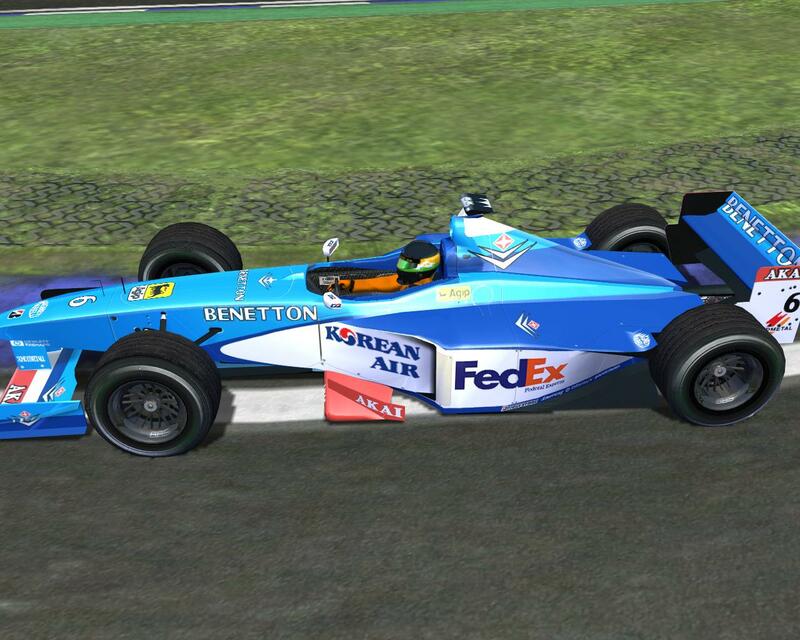 With the prospect of a Formula-Nippon driver on our disposal, we thought about making a Formula-Nippon mod. This was in early 2007. There already was a 2006 Nippon-mod, but we were confident we could build it and add our own touch. Well the driver contact didn’t proof to be very helpfull, either because he could barely speak english or because he couldn’t tell us where he was driving actually. So Nippon remained an idea, some collected images and nothing else. 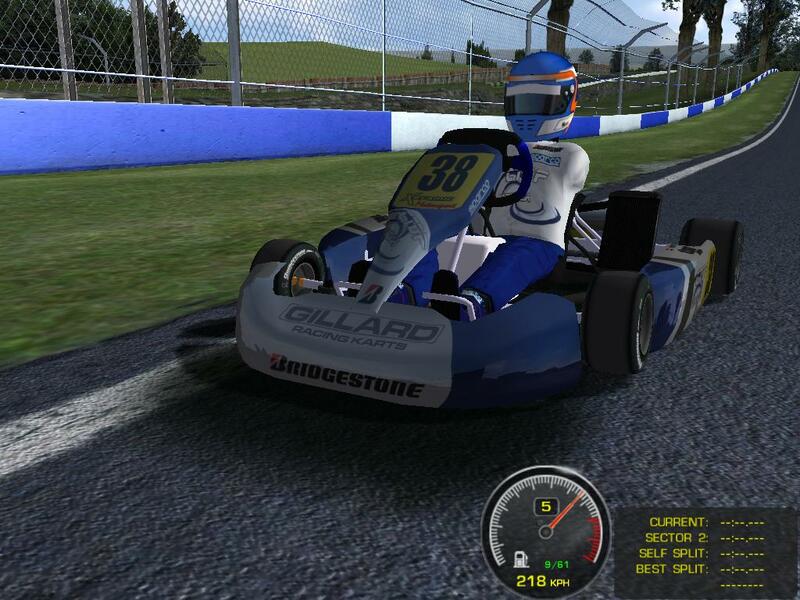 About a year ago, when all models were pretty much finished, Craigo surprised us with a GP2 model. We haven’t actually discussed any new plans at that time, but he presented the car and it seemed to be a nice prospect for the people who just joined the team, however as long as 2006 was in the works, it was supposed to be on hold. Once all cars where done, Marko aka Downforce3D took on the car and brought it up to standards, added upgrades and a new mapping. Well and here it stops. Shaun and I working mostly on 2006 and the other painters involved with own projects over the year, the interest in GP2 faded and last week we concluded to cancel the mod, before announcing it officially. So the model is pretty much done and we have some artwork proposals, but that’s about it. 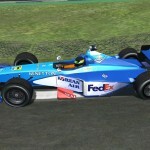 With another great GP2-2008-mod released just recently, the GP2 mod wasn’t really inspiring. It was supposed to be a playground, you can see this from the artworks I did, it was supposed to look deliberately different and give some new edge. So do we have anything else in the pipeline? We let you know eventually. It must be quite frustrating sometimes, given that there are all these great ideas and that you have to be disciplined and focus your efforts on one mod (2006) for so long a time. Very much exciting indeed, Fernando 🙂 Great informations. Great post, guys. Interesting bit of reading Dahie, I have been working for just over a year in this group now an never knew about these things until recently. Another bit of history to add from my side. When I had converted most of the 2005 cars in rF people began prodding, when, if, release etc. Gettign cars into rF was a bit of an unknown and less understood process to what it is now, and my own bad idea to publish some screens at rsc attracted those questions. In the end I never wrote a guide on how to do it, I was more interested in getting on with it. I soon got bored converting stuff, realising that it would much more satisfying to make something by oneself from scratch and getting that into rF. Personally I had never considered a release anyway of the conversions I did, notwithstanding the permissions of the car models and textures that would have been needed. I did some preliminary investigations, some replied and duly gave it, but from some I never heard. 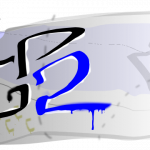 I was also aware that CTDP were already busy developing their 2005 mod, and that some of these meshes were from the same origin, so I decided to write to Dahie/CTDP at this point asking how far, when they were planning to release their CTDP 2005 mod at the time. I was aware that at this point they were doing a much better job than I was ever going to do on my own with little to no exprience. It turned out that the CTDP05 mod was not far away from a release. I decided to plug away a bit more for a year and some learning in my own time, getting into scratch making stuff, Modelling and painting, helping others with some other minor bits an pieces, but also soon dicovered that to make anything like a full size mod to any level of quality is a mammoth task for a single person. F1 1998 already looked good, for being a 2 years old conversion (and in a very eary stage): it probably could become something interesting, but we’ll wait for Turb conversion now (ant news from him? :D). Maybe one day we’ll see a 1996 mod too, who knows: for me it would be great, as that was the first season I watched from the beginning until the end. By now, let’s enjoy what will come in a not so distant future. HELLo tHERE!THX 1138!U are the Best(U & MMG(RH))! 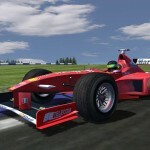 Will U to create (from zero) F1 2004 season for rFactor? We have a big archive of mods which could be converted and with some updates could result in great mods. One result of the 1998 cancelation was the realisation, that we actually want to continue to create new material. We didn’t want to stick to the stuff we already did and convert it for the next 10 years to all possible games. After working on a mod for 1-2 years you want to move on and don’t always look back on your work. We are proud of our old mods, but we are done with them. Understandable, hope someone skilled enough could take care of some of your old, stunning mods, with your autherization, of course! Just like Turb is doing with the 1998 season. We actually like to give permissions, but it’s not always easy. Of course there are doubts when people without any references ask out of the blue, we seldom hear back from them. Of course we’d like to ensure that conversion in a certain quality. Then there are those who have the conversion done and ready and just remembered this inconvinience of asking for permission. Usually we try not to complicate things, but in the end it’s the way we are approached, that is deciding. Yeah, In my opinion you’re a very kind group. I know a few persons myself, that you have granted permission to use some of your work. Really interesting. Thanks you, keep working. Is there a was to get my hands on that absoultly Amazing gp2 2007 mod?